This "winning" thing feels very familiar to him. 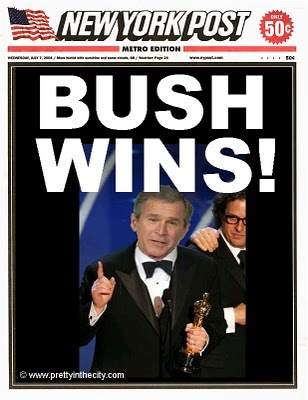 Do you think Bush will try to steal this one, too? UPDATE: This post was linked to from Jossip. Thanks! 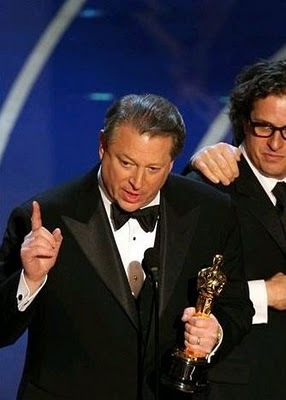 NOTE: Please don't steal the fine, Photoshopped image of George W. Bush, leader of the free world, clutching President Elect Al Gore's Oscar from the 79th annual Academy Awards. If you'd like to post it on your blog, you may do so. All I ask is that you credit me with a link back to this website. (Prominently, please... no little "source" link in the corner that no one clicks.) Any evildoers who do not follow the above rules will be denounced and held fully accountable for their actions. Thank you... and go GREEN!